Come take a look at this remarkable townhouse before it's too late! 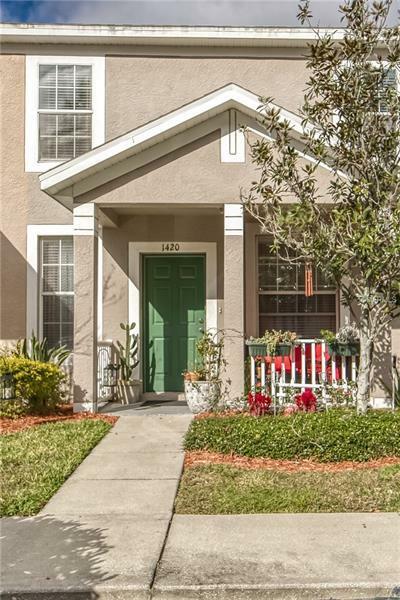 This home is located in the highly sought after community, Lakewood Ridge. This gated community is well known because of it's great location and features some amazing amenities, which include a gorgeous pool for it's resident to enjoy. When first stepping inside the unit you will notice the open floor plan that features new paint & wood laminate throughout. The sliding glass door from the kitchen will lead you to your private & covered porch to relax on, while all three bedrooms are upstairs with a split floor plan. The master suite has it's own attached bathroom plus a huge walk in close, and the other two bedrooms share a bathroom on the other side of the home. This property is one of the must see homes in Brandon right now, so make sure to schedule you showing while you can!